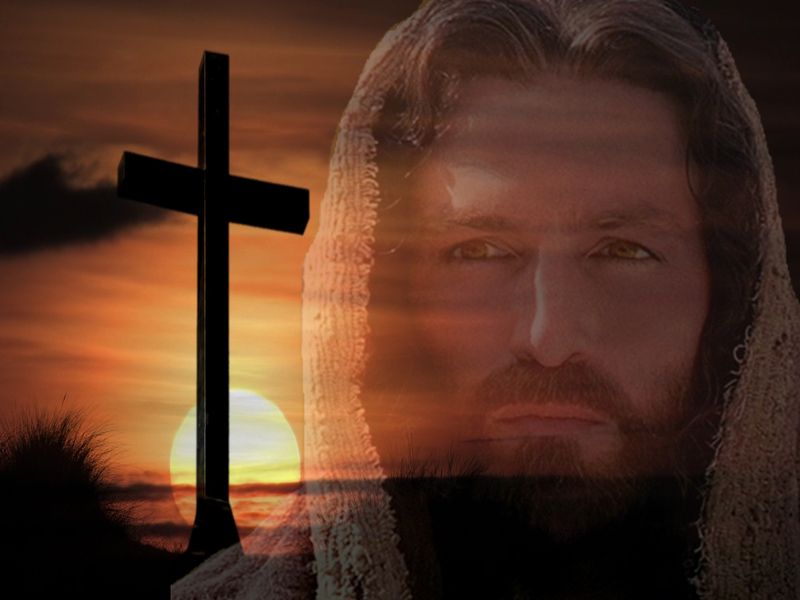 Growing up in a Christian home, spending countless hours in church services and Sunday school classes, I listened to many sermons and lessons on why Jesus came to earth and died on a cross. Pretty much the central theme to them all was that my sin was the reason Jesus came. It was man’s sin that was the focus or driving force that incited Jesus to come; our sin was what forced Him to the cross. Now that sounds legit, Jesus did come and He did voluntarily lay down His life and died on a cross for our sins. It is also true that if man had not sinned Jesus wouldn’t have had to come as a man and He definitely wouldn’t have had to lay down His life. Even though it is the truth, was it His motivating factor? Was sin the reason Jesus made the decision to come? 6 For God so loved the world that He gave His only begotten Son, that whoever believes in Him should not perish but have everlasting life. I had to think about it for a while. As I pondered the question I began to wonder what kind of person would require you to love them at a certain level or you would be punished. To me, that sounds like a person who has some real self-esteem issues. Someone who isn’t sure people would love them if given the choice not to. So they put stringent regulations demanding love in order to be sure He would be loved. The truth is, any love that is demonstrated out of requirement is not love at all. So if Jesus isn’t talking about a level of emotion or love in Revelation 2:4 then what is this “first love” He mentions? What if the “first love” He mentioned is more description of when the love was than a level of love. 24 “Father, I desire that they also whom You gave Me may be with Me where I am, that they may behold My glory which You have given Me; for You loved Me before the foundation of the world. So Jesus is praying for all those who will believe throughout history will believe; that’s you and me! He then goes on and mentions that He desires that the world knows that God the Father loves us just like He loves Jesus. Then in verse 25 He goes even further and prays that we would understand that the same love that Father God has for Jesus is in us! That’s right, IN us! Now I knew that we have the love of God, the love He had for Jesus before the foundation of the earth, in us; so what does that look like and what does that mean? What was it like before the foundation of the earth? A few years ago I had the honor to go minister in New Zealand. During that time a Maori, one of the indigenous people of New Zealand, came to a meeting and as I went to shake his hand to greet him he replied, “no, I want to greet you the traditional way.” He instantly put his hand behind my head and drew me close until our foreheads were touching. There we stood face to face when he stated that his people believed that when you stood there face to face you partook of each others spirit and you became part of the other individual. It was during that experience that I immediately knew that this was what first love looked like before the foundation of the earth. The Father and Jesus face to face with Holy Spirit between, separate but apart of both. They were all individuals yet they were one. It is in this environment, in this first love that you and I were created. For it was in Him that all things were created, in heaven and on earth, things seen and things unseen, whether thrones, dominions, rulers, or authorities; all things were created and exist through Him [by His service, intervention] and in and for Him. Jesus did not only create you and me but we were created in Him and through Him. When you created something from a substance, then the thing you create has similar, if not the same properties as the substance you created it from. And God said, Let the earth bring forth living creatures according to their kinds: livestock, creeping things, and [wild] beasts of the earth according to their kinds. And it was so. When God wanted to create the creatures that were in the water He spoke to the water commanding it to bring them forth. When He wanted to create creatures on land He commanded the earth to bring them forth. He always spoke to the substance from which the creature was made, but in Genesis 1:26 when He wanted to create you and I He didn’t speak to the sea or speak to the land, He spoke to Himself. He spoke to Himself because it was out of His essence that you and I were created. Now I realize some of you are thinking, “Hold on! God created man from the dust of the earth.” Well, yes and no. He created our earthly bodies from the earth, but it wasn’t until He breathed into that shell that it became a living soul. He had to breath into the body in order to place Adam into it. Adam was in Him, the place of his origin and the substance from which he was made. You and I were created in Christ in the place of that first love. It is in that place of “face to face”, that place of intimacy between the Father, Jesus, and Holy Spirit that Daddy said let us make man. You were created in love and by love in that place of intimacy; that is first love. First love is not a level to obtain or even something to acquire. First love is acknowledging the love, that unconditional, overwhelming, intimacy that we were created in and the position God has placed us. What Jesus was admonishing the Church of Ephesus for wasn’t because they had let their love for Him to diminish, it was because they forgotten what first love was. The Church in Ephesus were diligently doing the things for God, patiently enduring, and hating anything that appeared to be evil. That may sound good but they had gotten to the point where they were starting to look at all their deeds and believe that is where their righteousness came from. That is self-righteousness, and Jesus came to tell them that they had forgotten that it is by the grace of God alone and not their deeds that allows them to do what they can do and be who they were created to be. As Holy Spirit led me down this path, teaching me about love and especially first love, He was developing in me the realization that it is love and always has been love that motivated the relationship between God and man. You see, it wasn’t sin that cause Jesus to come to earth and lay down His life through the death on a cross. Sin was never the issue; it always has been and always will be love.